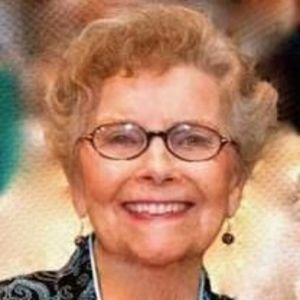 - Julia Fuller Lee Creech, 96, died on Friday, December 29, 2017 at Transitions Life Care in Raleigh. She was a native of Johnston County, NC, and the daughter of the late Simeon Raines Lee and Cora Mozingo Lee. Predeceasing her were her parents, two sisters and a brother, as well as her husband, Marshall Ezekiel "Zeke" Creech who was her partner in life until his death in 1998. Julia is survived by daughters Judy Lewis of Fredericksburg, VA and Holly Hafer and her husband Gene of Raleigh, NC; grandchildren, Michael Lane, Laura Ragland Pontbriand, Rodney Lewis, Kathy Hafer, Susan Richman, Janet Lamb and Julie Hafer; seven great-grandchildren and two great-great-grandchildren. She is also survived by a sister-in-law, Sally Creech of Raleigh NC and by many beloved nieces and nephews. After attending ECTC in Greenville, NC, Julia married Zeke and moved to Kinston NC where they lived for over 50 years. She formed close friendships there and in Raleigh where she lived for almost 20 years. She especially enjoyed the residents and staff at The Oaks at Whitaker Glen, and considered them her extended family. The family will receive friends in the Atrium of Building B of The Oaks at Whitaker Glen on Wednesday afternoon, January 3rd from 4-6PM. At Julia's request, there will be a private graveside service at a later date in Smithfield N.C. Arrangements by Brown-Wynne Funeral Home, Raleigh N.C. In lieu of flowers, the family suggests that memorial contributions be made to Transitions Life Care, 250 Hospice Circle, Raleigh NC 27607.